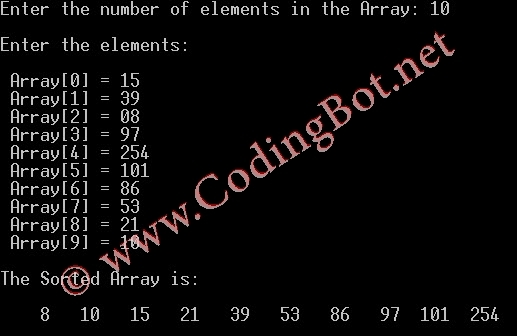 Bubble sort is a simple sorting algorithm that works by repeatedly stepping through the list to be sorted, comparing each pair of adjacent items and swapping them if they are in the wrong order. The pass through the list is repeated until no swaps are needed, which indicates that the list is sorted. The algorithm gets its name from the way smaller elements "bubble" to the top of the list. Because it only uses comparisons to operate on elements, it is a comparison sort. Although the algorithm is simple, most of the other sorting algorithms are more efficient for large lists. 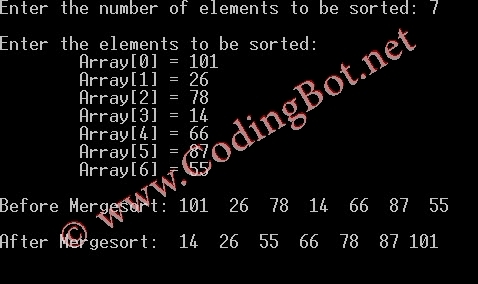 Bubble sort is not a stable sort which means that if two same elements are there in the list, they may not get their same order with respect to each other. ( 5 1 4 2 8 ) ( 1 5 4 2 8 ), Here, algorithm compares the first two elements, and swaps since 5 > 1. Quicksort is a divide and conquer algorithm. Quicksort first divides a large list into two smaller sub-lists: the low elements and the high elements. Quicksort can then recursively sort the sub-lists. The steps are: 1. Pick an element, called a pivot, from the list. 2. Reorder the list so that all elements with values less than the pivot come before the pivot, while all elements with values greater than the pivot come after it (equal values can go either way). After this partitioning, the pivot is in its final position. This is called the partition operation. 3. Recursively sort the sub-list of lesser elements and the sub-list of greater elements. The base case of the recursion are lists of size zero or one, which never need to be sorted. In-place partition in action on a small list. The boxed element is the pivot element, blue elements are less or equal, and red elements are larger. 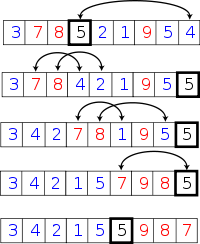 Merge sort is a sorting technique, which is based on comparison sorting algorithm, having complexity O(n log n). It is one of the types of stable sort, meaning, that in its implementation, input order of equal elements is preserved in the sorted output. It was invented by John von Neumann in 1945. Merge sort is a divide and conquer algorithm. Divide the unsorted list into 'n' sub-lists, each containing 1 element (a list of 1 element is considered sorted). Repeatedly merge sub-lists to produce new sub-lists until there is only 1 sub-list remaining. This will be the sorted list.